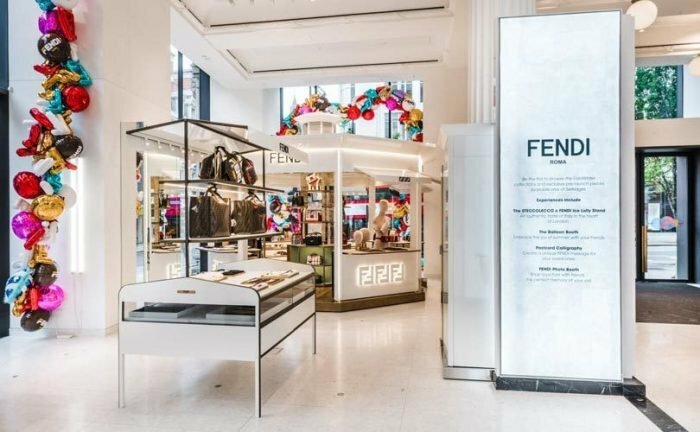 FENDI has opened the FENDI Kiosk at the Selfridges Corner Shop on Oxford Street, London. The one-of-its kind pop up aims at combining food, fashion and eclectic décor, all under one roof and is planned to stay open through the month of August. 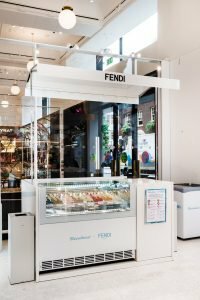 Fendi has taken inspiration from the traditional Roman piazza in full summer swing and has brought in Rome’s celebrated artisanal ice-cream maker Steccolecco to the store. 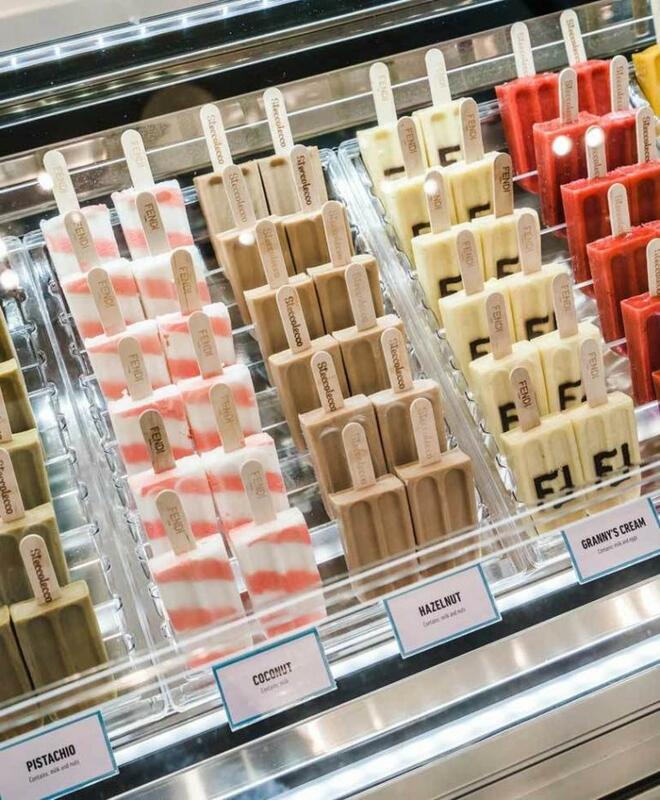 Visitors can thus savor double-F logo popsicles and 12 new flavors, including mango and maracuja and ‘Granny’s Cream’ at the unique shop. Steccolecco, renowned for its use of natural ingredients, has created two unique ice creams for the occasion. 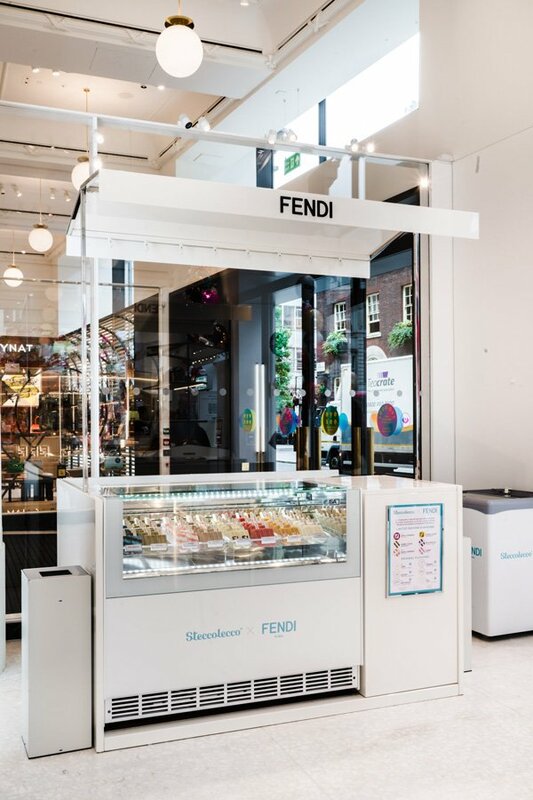 Visitors will be able to purchase lollies from a custom-made FENDI x Steccolecco Gelato stand. 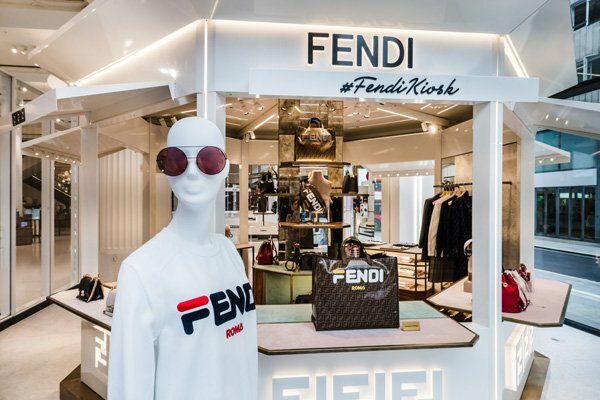 Gastronomy apart, guests can lay their hands on select pieces from Fendi’s autumn/winter 2018-19 pre-launches, such as the Mon Trésor bag in leather and shearling, as well as other exclusive items like the classic Kan I bag and the Fendi-branded wire shopping baskets, priced at £1,000 each. 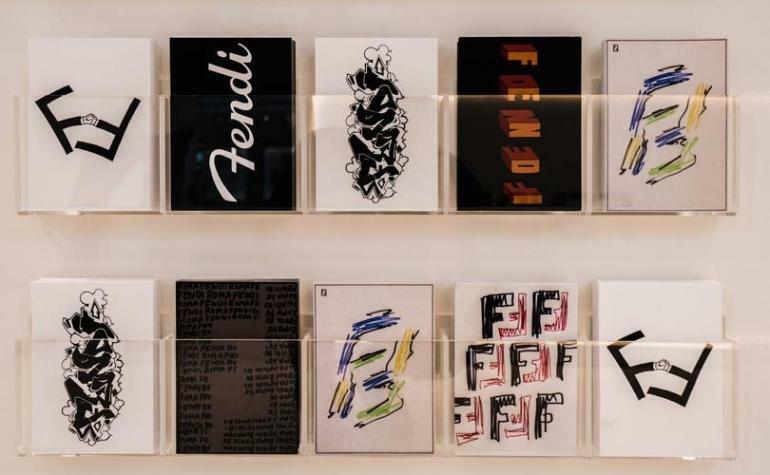 The store will also launch the Fendi x Fila collection, with irresistible pieces featuring a mash-up of the two brands’ logos created by artist @hey_reilly via his ‘fake news’ concept. 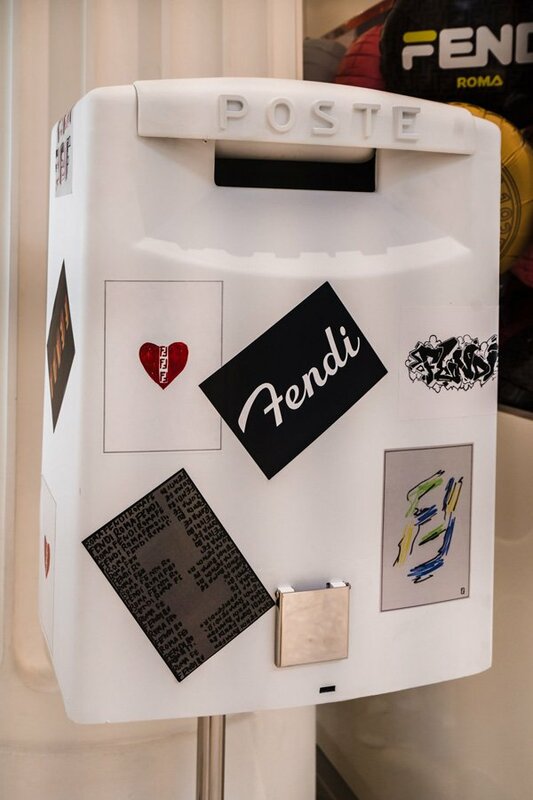 Visitors will be able to send a customised FENDI postcard to loved ones direct from the space. Shoppers will be able to discover a series of four different postcard designs, each one tracing the history of the FF logo. Guests can create a special message written on the postcards via an in-house calligrapher onsite. Decorated with retro photo booths and brightly-colored balloons, the Fendi Corner Shop at Selfridges looks like a pop-up of our dreams! 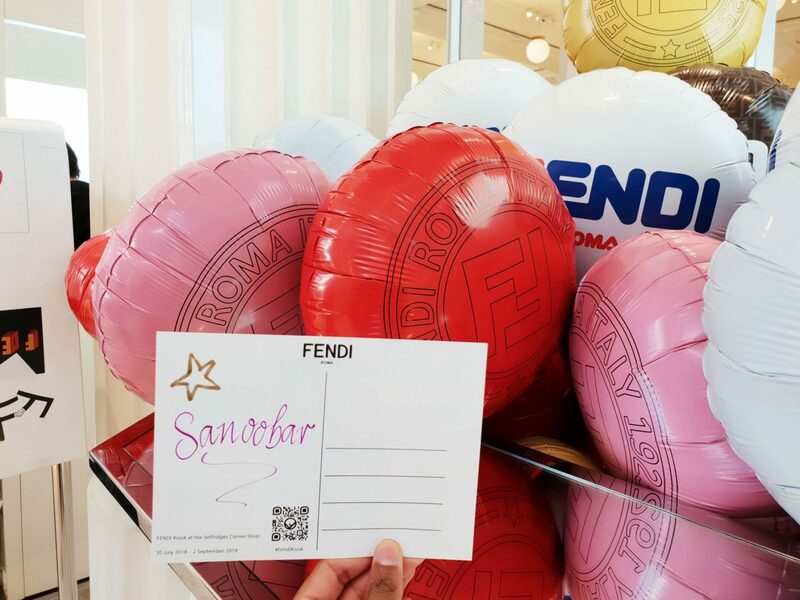 The FENDI Kiosk will also offer a youthful and vibrant animation in the form of ‘balloon drops’ – giant inflatable, special edition FF logo balloons in blue, red and white will be freely distributed in limited quantities twice a day, between 12pm-1pm and 6pm-7pm. Totally unique and created especially for Selfridges, they serve as the perfect memento of a visit to FENDI’s piazza.